Now I know that a lot of people would love to live without money, but the fact is that money is a very useful tool in today’s complex world. At its root, money is the medium in which we use to exchange energetic value amongst each other, whether that’s by trading goods, services, or time. Money is an essential tool to any large, developed society with a robust and diverse economy. 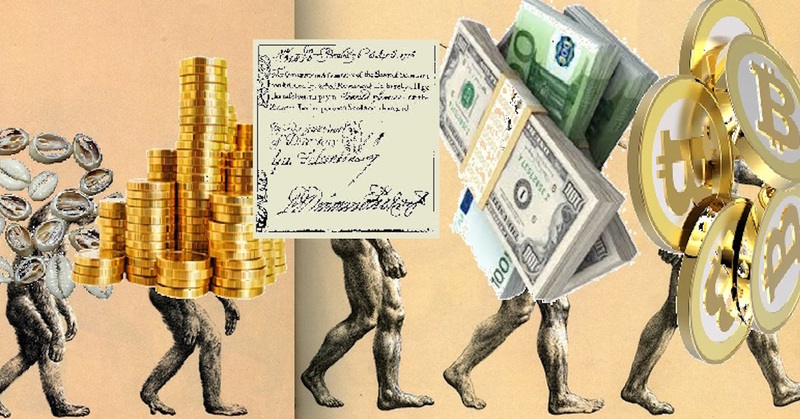 Money evolved out of the barter system, where people were limited in what they could exchange and receive. Essentially, people could only trade what they had for what the other person had. For example, I could trade you my apple for your orange, but if I didn’t want an orange, then there is really no reason for me to sell you my apple. Money revolutionized exchange systems by giving sellers the opportunity to sell their energy output to people interested in it, in exchange for a medium (money), that could be used to purchase whatever they wanted as opposed to being confined to receiving only what the other person possessed (orange). It really was a natural evolution in the transfer of value from one person to the next. The underlying assumption to all of this is that the medium of exchange (money) is a truthful and just indicator of our energetic value; as in our goods, services, and time are accurately priced to the market value of them, aka priced to what they are worth. Sadly, that is not a foundational principle in our current system anymore, as the money value (price) and the actual real world value (energy and demand) have diverged apart from each other creating a schism in our economic system. Unfortunately society has moved from a sound money economy where money is anchored down to objective rules, markets are free for everyone, and there is little to no central control over it all; to that of a fiat matrix where money has no anchor in objective reality, markets are heavily regulated, and central authorities control the economies, usually to benefit of the élite class and the detriment of the majority of the population. We used to have a sound money system, where the money supply was tied down to gold, a rare metal that is found in the ground with a fixed supply. Though many other things have been and can be used as money, gold has made for solid money over thousands of years because it preserves well over time and has a limited physical supply. What this did was anchor down the economy to some fixed objective set of rules in that governments and central banks could only print as much money as they had in gold or to some fixed ratio of gold to fiat currency. 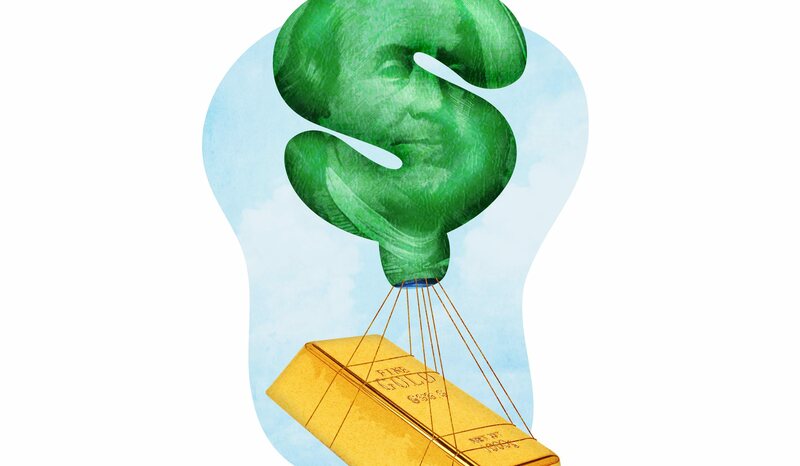 During the gold standard, people were always allowed to exchange their fiat currencies for physical gold, which essential holds the banks in check from over inflating the monetary supply far beyond the limited physical supply of gold. However, that was done away with and now we have a money system where central banks and governments can print money and expand credit to what seems like infinity just because they are allowed to by law. To make matters worse, the price of precious metals, like gold and silver, which are supposed to keep the current pricing system in tact by allowing gold and silver prices to rise when the fiat money system gets volatile, are admittedly being manipulated and don’t reflect real world value. Basically, there is no anchor tying the system down to objective rules, since the money supply can be increased or decreased/manipulated by some central planning authority. This has had many unintended consequences, such as constantly rising inflation, which decreases the value of savings since the purchasing power of the currency goes down as the supply grows. 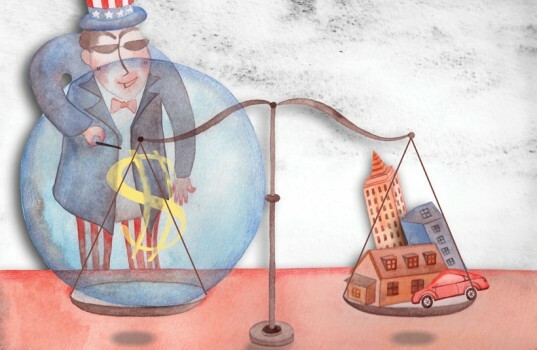 Another clear consequence is wealth inequality, since most of the new money creation gets injected at the top of the pyramid, such as in big banks, big government, and big business. This helps the top get richer and might bring the monetary value of the economy up temporarily, but it does so at the expense of an ever-dwindling middle class. Finally, the constant expansion of the money supply totally distorts prices, as all this new credit gives the appearance of rising value, yet in reality this is a false wealth with no energetic substance. Real wealth is an increase in productive capacity and money flow that makes society better. Money printing does nothing of the sort; it only creates bubbles of artificial wealth that eventually pop. What all this has done is create a skewed system of energy valuation, where economic values in society are completely out of whack with the actual values of our energy outputs. For example, we have a system where banks are overleveraged/undercapitalized, companies are riddled in debt, our governments are bankrupt, yet the world still perceives them to have high economic value due to the ever-increasing manipulation of money valuation. There is nothing tying this system to any objective truths; because if there were, many banks, companies, and governments would have gone bankrupt and been dismantled by now. That’s not to say that the gold standard was perfect or that things need to be equal, but the point is that we need something open, fair, and objective to anchor the system down so price and value correlate correctly. This even goes a level deeper, as society has developed a skewed perception of what jobs are most valuable for society and what jobs are not. For example, in our current system those in finance, who essentially make a profit by moving and manipulating money, are some of the richest people on the planet, despite not contributing much value to society; while teachers, who are responsible for developing the future generations of society, make nothing in comparison to their real world value. That is not to say that bankers and those in finance are not necessary or important, but are they really the most valuable assets in society? 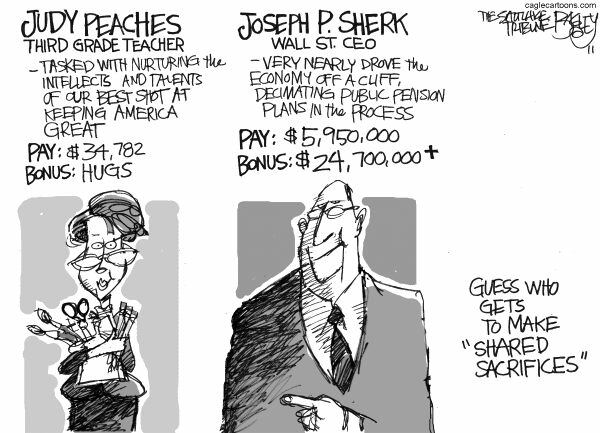 Most would agree that teachers, doctors, scientists, and public servants (righteous ones that is) are worth more, or at least equally valuable to those in banking, finance, sports, and acting. It’s not a black and white valuation process, but many would agree that there are quite a few valuations that need to be reassessed. The point is that there are simply too many people today performing incredibly tough and laboring tasks that contribute lots of value to society, yet get paid little, while those doing a lot less to contribute value are making more money then they know what to do with. Now this isn’t true of all circumstances, but as a blanket statement there is a lot of truth to it. Somehow we have to develop a more accurate system where values, both economically and culturally, are more tied to our actual energetic value. This is the only way peace will ever be achieved on Earth, in that the majority of the social problems stem from injustices of monetary values that misrepresent real world values. With most people understanding that money is at the root of our problems, the goal should be to get back to some type of sound money system that accurately aligns values. In a sound money system people will have the freedom to get out what they put in, and that is real harmony and justice. We simple have our math off at the moment in both our perceptions of value and our structural designs of our environmental systems to determine value. However, new decentralized systems are already on the horizon to replace the old dying systems of energy valuation, such as crypto currencies utilizing the Blockchain technology. Now is not the time to throw in the towel. In fact, now is the time to march full steam ahead because we have never had such new innovative technologies that can accurately determine value, while still maintaining decentralized power structures. The old system is coming down whether people want to open their eyes to it or not, so let’s just make sure we’re standing there ready to implement something better, instead of falling right back into the same trap. History doesn’t have to repeat itself, but it will if we just remain idle. Wake up and participate! I was seeing what you started of with in this post but i feel like using the ‘Market’ is totally throwing your idea way out of place…….the market is the problem to begin with…. Energetic value is exploited, consumed and just like magic converted into a bigger amount through marketing, business and whatever other means are involved…… for some reason education/business and bartering have somehow multiplied the actual energy involved to produce a product… to build something. or to provide some sort of service………..
Profit is the cancer…… who deserves profit? i can go into the bible here (sow your seeds etc etc) but this is not the problem i am thinking about…. Nothing in the business world makes sense to me… what is profit? making money out of somebody else’s hard work? if i sell an apple for 2 oranges because the MARKET decided that oranges are now cheaper (but take the same energy to grow)……. i just dont get it……. but eventually like they MARKETS are crashing now… its all going to come tumbling down…. and society will likely come down with it………..
there are some ideas (no currency etc etc) that are better suited to prevent this but i am not holding my breath..
anyway…… thats my (as they say in the USA) 1 cent..